For Nina Smith, a dream job turned sour when she found herself dealing with the dirty jokes, suggestive comments and unwanted touching from male lawmakers in Annapolis. WASHINGTON — Nina Smith said she landed a dream job in Annapolis, Maryland, interning on the staff of Sen. Gwendolyn Britt, D-Prince George’s County. 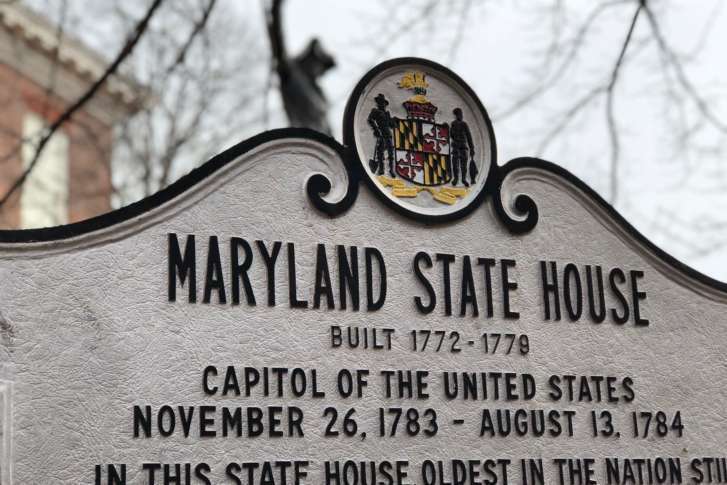 But the dream soon soured as Smith found herself dealing with the dirty jokes, suggestive comments and unwanted touching from male lawmakers in Annapolis. Smith said that even Britt, whom she called a “titan and a trailblazer,” couldn’t shield her from the sexual harassment she’d experience over her eight years in the State House as an intern and a staff member for Britt and then-Gov. Martin O’Malley. One lawmaker said he wanted to perform a sexual act on her in front of a lobbyist, Smith told a meeting of the Women Legislators of Maryland on Wednesday. Another lawmaker, she told them, called her at odd hours, trying to get her to come to his hotel room. And “one legislator rubbed his private parts on me,” she recounted. What complicated her efforts to deal with the harassment was what she called the “murky and politicized reporting process” at the State House. Smith explained that she brought her concerns to her female colleagues and lawmakers. Smith ended up passing along the same information to young women she mentored, but the “Me Too” movement changed things, she said. Now a business owner who no longer works inside the State House, she told the panel she hopes that by speaking out, the “Me Too” movement is more than just a moment in time and that real change can be achieved. Del. Ariana Kelly, D- Montgomery, who chairs the women’s caucus, called Smith a hero. Kelly, she said, has heard from a number of women who opted out of political careers to avoid the climate that she said allowed harassment to go unchallenged for so long. Del. Carol Krimm, D- Frederick, expressed sympathy, noting that like Smith, she once worked as a staff member in Annapolis. “One part of my role here is to make sure that we do address staffers’ concerns,” Krimm told her. Twenty-two recommendations were adopted by a bipartisan group of lawmakers, Kelly said, and those recommendations will be forwarded to a commission formed to deal with the issue of sexual harassment. In addition, Kelly is working on legislation that will incorporate some of the 22 recommendations adopted on Wednesday. Among those: hiring independent investigators to check into complaints. In that way, Kelly said, the case is given some distance from the political sphere. “That’s not easy to do, but our recommendations aim to do that,” Kelly said.